Increased demand on food manufacturers for high quality products, and traceability at a greater rate of output, has led to the wide-spread adoption of industry 4.0 compatible end of line automation. While originally hesitant to integrating industry 4.0 into their production lines, food manufacturers are quickly realising how the fourth industrial revolution can support factory productivity and profitability. Consequently, end of line machinery manufacturers are witnessing greater demand for SMART systems which are future proof. Although the installation of industry 4.0 was initially slow, with the UK trailing behind Europe, reports suggest that almost 70% of British manufacturers today recognise the opportunity it can bring, and are investing in intelligent, SMART end of line systems which are boosting productivity and efficiency. The gradual implementation of highly intelligent, Industry 4.0 compatible, end of line machinery, has largely been down to demands from manufacturers for increasingly high spec systems which will satisfy the evolving needs of retailers and consumers. As the requirement for higher speed, random sized cases has risen, so too have the technical abilities of end of line systems, including the incorporation of data reading barcode systems, taking away the need for manual adjustment. Now, automated, end of line solutions are designed to accommodate speeds of up to 30 cases per minute whilst adapting to a multitude of differing case sizes as efficiently as possible. Efficiency and minimising downtime are key areas driving the intelligence of end of line systems further. While UK manufacturers have made considerable leaps over recent years to automate their production facilities, there is now a greater emphasis on linking these systems together, and an overall increase in demand to integrate these systems directly into manufacturer’s own specific data networks. buy levitra no prescription http://lasyahealing.com/levitra/ can not be bought without a prescription. But as seen previously, it is possible to turn to approved online pharmacies that offer levitra or Vardenafil for purchase. Consequently they can capture, process and analyse the big data from the factory floor remotely, and it can be used to improve productivity, avoid downtime through predictive maintenance, upload new case recipes and optimise energy use. Companies are looking beyond the functionality of what their capital equipment can provide, and machinery is now an integral part of the management of the whole production life cycle, providing the business with everything they need. Customer requirements are many and variable in complexity, but all require a fit for purpose solution which enables them to leverage as much information as they need from their investment. 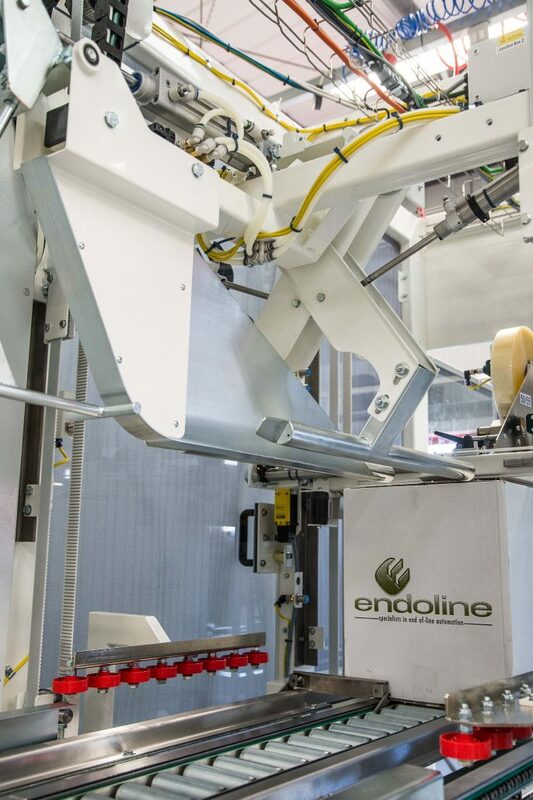 Today end of line machinery is not just bolted onto the end of the line, systems are seamlessly integrated into fully automated, complex, production lines that include robotics, conveying systems with multi-gate and divert control, automated printing, scanning and palletising features.